Dental veneers are available here in West Orange, NJ at Bagoff Dental Arts. We provide veneers, also known as porcelain veneers or laminates, as a way to improve the look and durability of your teeth. Dental veneers are a safe solution for improving the appearance and performance of teeth. Learn more about what to expect when you get veneers for your teeth. What are Dental Veneers From Bagoff Dental Arts Used for? Here at Bagoff Dental Arts we use dental veneers for a variety of reasons. The most common reason is to improve the appearance of your smile. If your teeth have become stained from root canal treatments, excessive fluoride, or other resin fillings, then dental veneers can mask the problem. Are Veneers Used for Teeth Chipped Playing Sports or Due to Trauma? Yes, veneers are useful for patients who have worn down or chipped their teeth due to sports injuries or other trauma. If you have chipped a tooth playing sports veneers is a cost effective solution to protecting your remaining tooth while concealing the chipped surface. If you have broken or missing teeth you can use dental veneers to correct the look of your existing teeth. How are Veneers Attached to My Teeth? When you get veneers they will be attached using a bonding method. This is typically done by cementing the veneer to the surface of your tooth. However, before the veneer is applied it will be shaped and color-matched so to resemble the rest of your teeth. This ensures that your veneers will not be easily detected by others. By cementing the shaped veneer to your tooth it ensures a permanent application. You won’t have to worry about your veneer falling off or being damaged with everyday use. 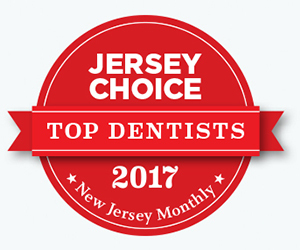 If you are looking for a West orange dentist for veneers look no further than your dental professionals at Bagoff Dental Arts. We offer extensive options regarding dental veneers. Begin the process of improving your smile by contacting Bagoff Dental Arts today to schedule your appointment for dental veneers.